As has happened for a number of years gone by, Digestive Wellness has once again has hit the top ten list for food and health trends in 2018. With ongoing emerging research linking our gut to brain health and pretty much every other aspect of our health, it seems that everyone is searching for the holy grail of “digestive wellness”. As with most popular food and health trends, two things usually happen. Firstly, companies cash in and market products with a benefit (mostly with lots of high faulted claims but not always scientifically based). Secondly, people become very confused with the glut of not-always-correct or appropriate information that comes from a variety of sources. So what exactly is “digestive wellness” and how do we know whether or not nutrition advice or a product is going to help us achieve this elusive state, or simply empty our wallets or potentially even do harm? Below I have tackled some of the common myths around digestive health and consider whether or not these simply are myths, or is there evidence to suggest that following this advice will get your gut in top shape. A 2016 CSIRO health report found that 1 in 3 Australian adults are avoiding gluten, yet according to Coeliac Australia, only 1 in 70 are actually affected by coeliac disease. Whilst there are those that are legitimate gluten avoiders due to symptoms of non-coeliac gluten sensitivity, many people have self-diagnosed gluten intolerance and have experienced an improvement in health. Without a proper diagnosis, these individuals could be unnecessarily restricting gluten-containing foods and potentially missing out on essential nutrients, specifically from whole grains that can help to reduce the risk of diseases including heart disease, diabetes and cancer. This is an interesting one as it is partly true, but it is not the whole story. Whilst various dietary guidelines do recommend a total daily fibre intake of up to 30g per day, what is often neglected is the advice to eat a range of different types of fibre for optimal gut health. 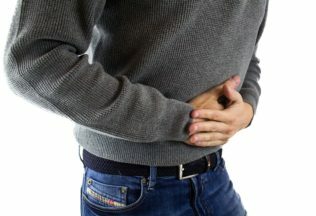 Many of the commonly eaten fibres are not the best type of food to feed the gut microbiome and there is more evidence pointing to the need for greater consumption of lesser known fibre types such as resistant starch, a prebiotic fibre that provides nourishment for the good bugs in our bowel and has been shown to play a role in minimising cell DNA damage associated with colon cancer. Probiotics have been associated with a range of health benefits, everything from lowering blood pressure and cholesterol to alleviating skin conditions, anxiety and depression. Whilst the jury is definitely still out on most of these claims, what most people neglect when ingesting millions of probiotic beneficial bacteria, is that these bugs need a good dose of prebiotics to help them flourish and impart their health benefits. Without enough prebiotic fibre to support their growth in the gut, any potential health benefits of these bacteria will be lost. When the good bacteria are dominant in the gut, they help to establish an environment that nourishes the cells that line the gut wall. This is known as the ‘prebiotic effect’. As this mega trend of digestive health moves beyond a tipping point, it is up to qualified nutrition professionals to help cater to the demands of a population that has become quite fixated on the gut and every aspect of health that goes with it. It will become even more essential to stay on top of the science, given this complex and evolving issue of digestive health. Teri Lichtenstein is an Accredited Practising Dietitian and the brand ambassador for The Healthy Grain, who provide natural and nutritionally dense whole grains to help improve digestive health and total wellbeing.